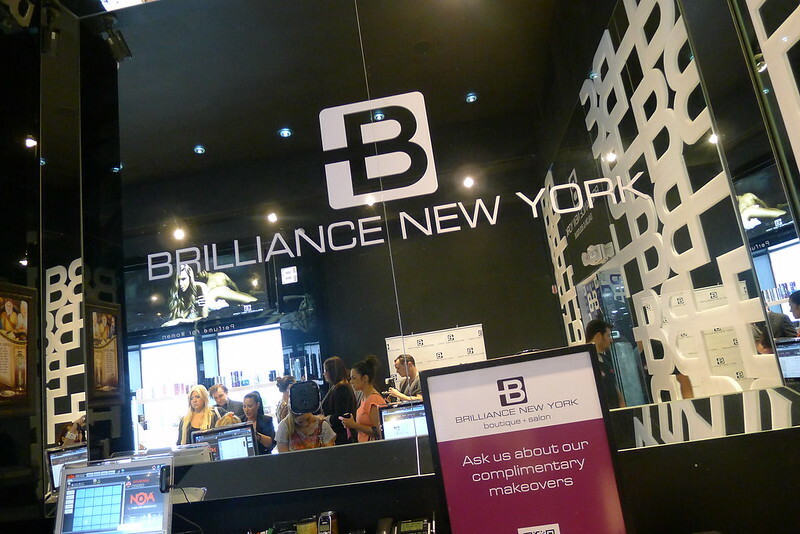 Brilliance New York finally opens a glamorous store on Lincoln Road, Miami Beach with a grand opening party where the main character was beauty! It was an event full of make up, hair extensions, creams, perfumes, hair care products and the best beauty experts offering all different beauty services. 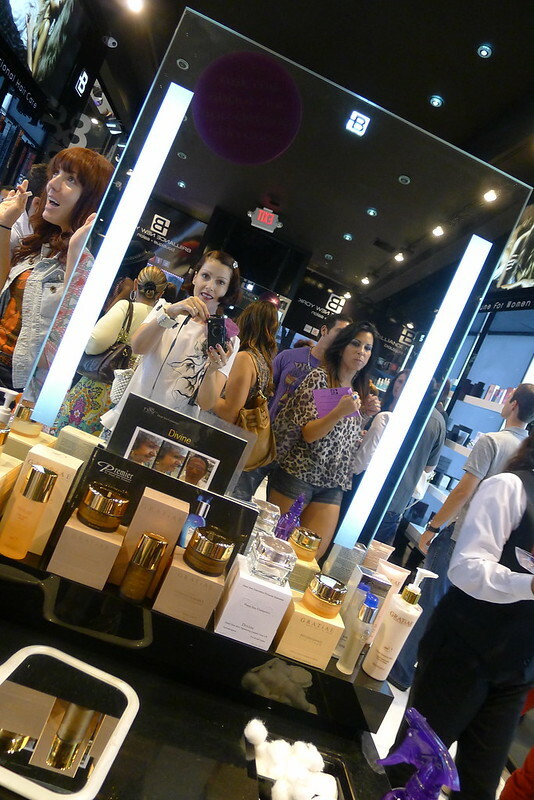 Brilliance created a fabulous atmosphere with music and cocktails around the most luxurious beauty products that make women feel gorgeous and brilliant. 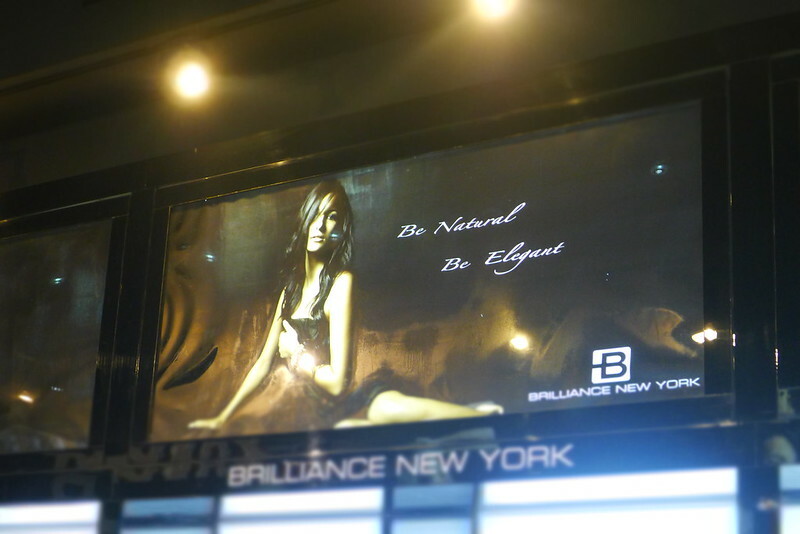 Brilliance New York had a vision to develop a range of top of the line beauty products dedicated to excellence, quality, and superior customer service. 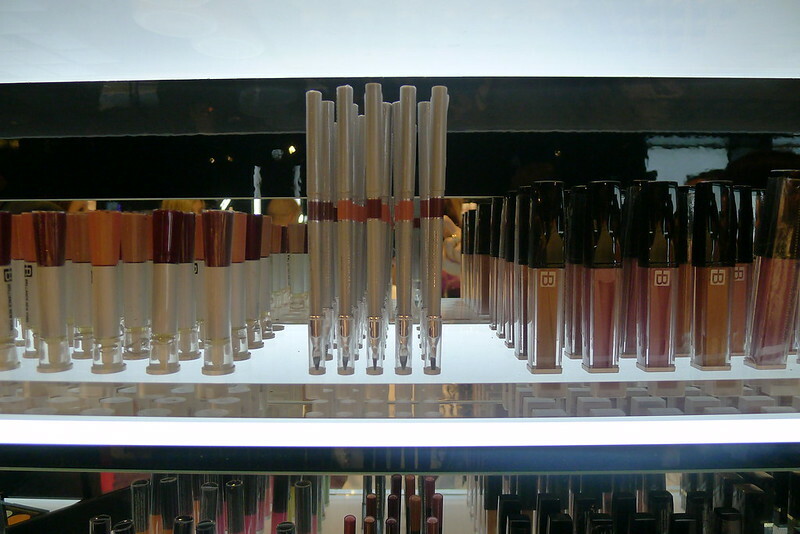 A women's candy store. A place where you can find all of your beauty needs in one destination, a one stop shop if you will. 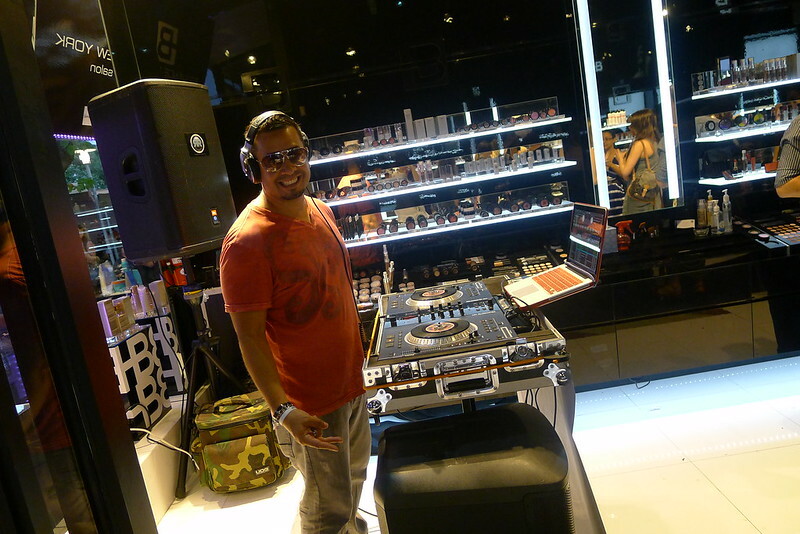 The music was in charge of DJ Fono. 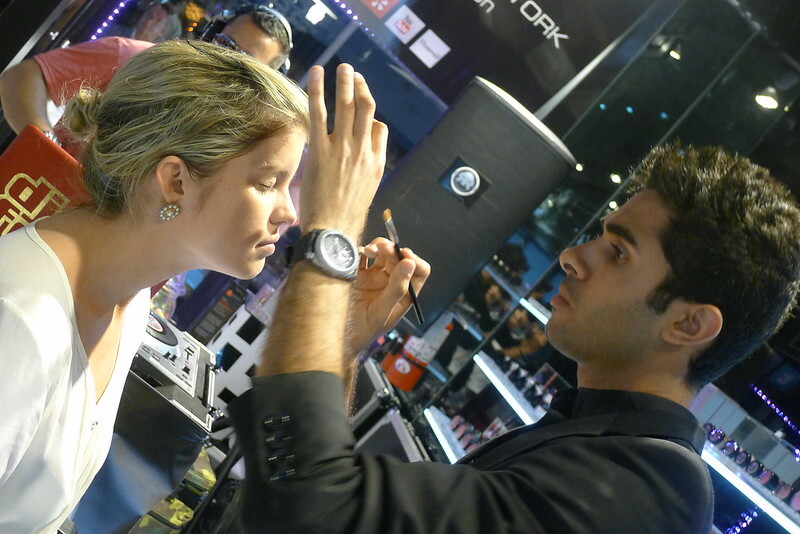 Yossi tweaking the last touches of makeup. Kristin Marie, Ria Michele, Robin Diamond and Ginger Harris. Martha trying one of the lipstick. Crazy and original chains to adorn any hair! Love purple and orange...it's a great mix of colors and Brittany Ross looks perfect! expert to be more fabulous than ever. My outfit...of course wearing my signature Flower Brooches. Maria Tettamanti and I ...She looks gorgeous in Royal blue and the fierce fuchsia Balenciaga bag. I wore Zara pants, Doo.Ri Collaboration for Macys blouse, Angeles Almuna Design Marie Antoinette Flowers Brooches, Marni for H&M bracelet, vintage bag and Zara shoes. Bye bye my friends and see you around Miami with style and a lot of fashion!!!! It was nice to semi meet you at this event!! I'm the friend with Ria in your photo :) since we weren't formally introduced, hi! I'm Kirstin :) your photos look fantastic. Thank you so much for all your kind words. You are such a pleasure to be around, Angeles!